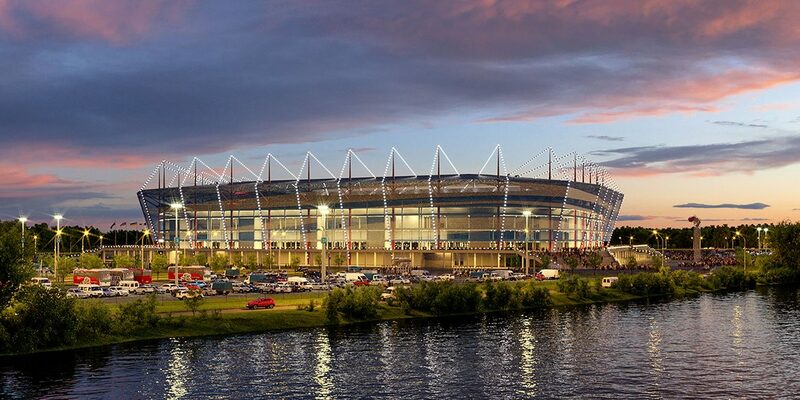 The stadium “Kaliningrad” has been built for the Championship purposes. As far as you know, it is located on the picturesque Ostrovsky Island. This is practically the center. The most difficult in the process of building construction was for specialists – it strengthened the ground, which was mobile. The roof was made of a profile sheet (steel). 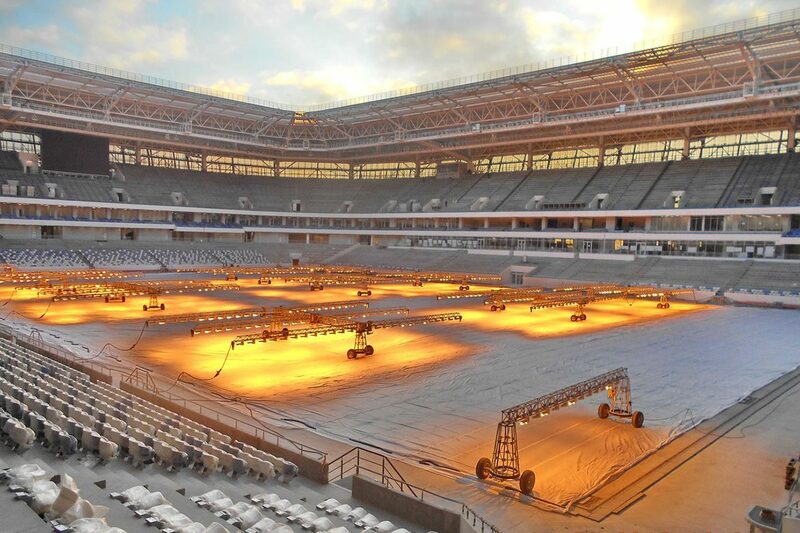 The opening above the field itself is made of special high-quality panels that perfectly pass light. As a result of the well-coordinated and professional work of the masters, a masterpiece resembled a ship that moored in the Baltic Gulf. 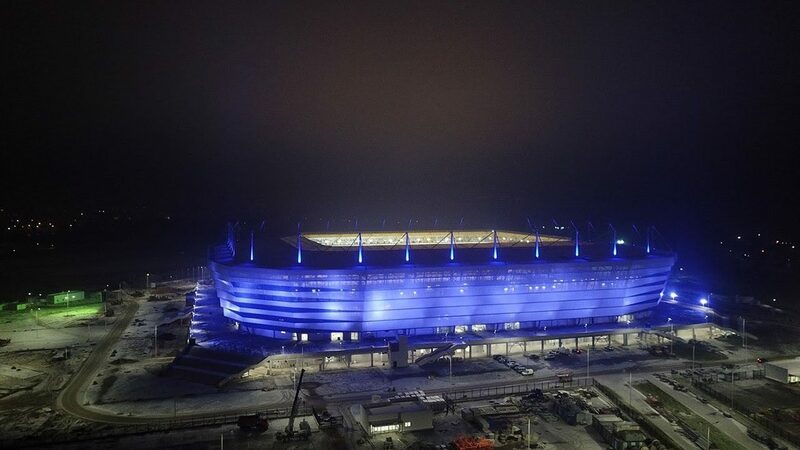 All parts of the stadium are made in the colors of FC Baltika. In white and blue colors, the seats in the grandstands are also made. The only color of the seats is made in the form of a kind of mosaic. 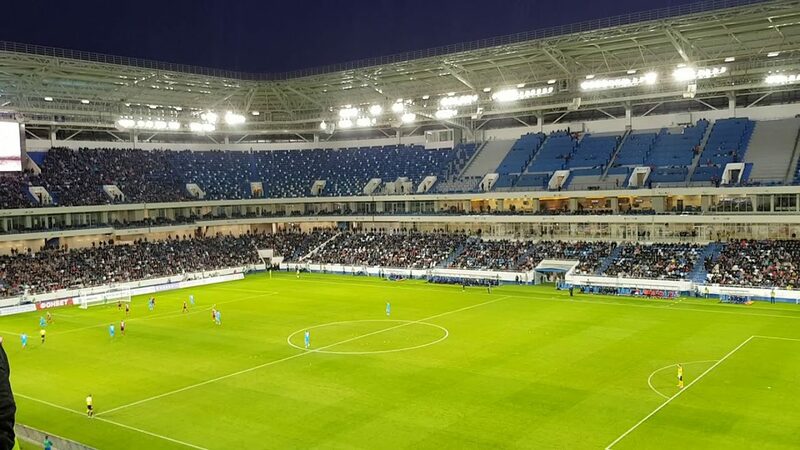 This is done in order that in the case of not completely filling the grandstands, the impression was created that the stadium is loaded as much as possible. The stadium came out compact and, at the same time, roomy. The most expensive places are in skyboxes. Staying on the upper tiers of the grandstands, the audience will enjoy the chic review and enjoy the magnificent game. The lawn of the stadium field is natural. It is equipped with additional watering, heating, lighting. Players will appreciate the quality of the game on such a lawn. Passed at the stadium matches, showed a high level of security in the grandstands. The stadium fans leave in just 7 minutes. But the workers argue that it can be done in 5 minutes, if you insistently hurry people leaving the arena. This indicator is very important, especially in unforeseen cases. 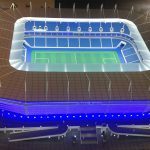 Marine motives in the design of the stadium are achieved, thanks to open and transparent facades. Amber effect is achieved due to the beautiful lighting in the stadium. 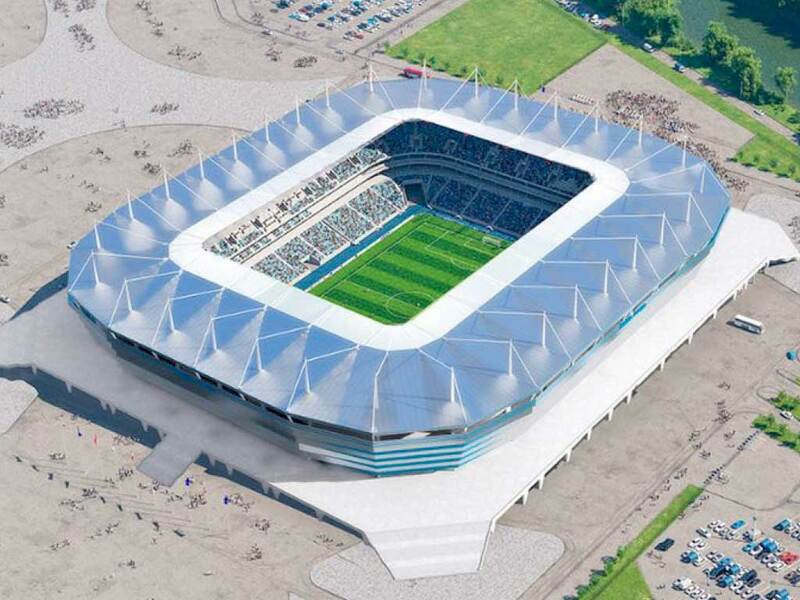 The stadium “Kaliningrad” is one of the most original buildings that will host the 2018 World Cup matches. Of course, the stadium has many interesting facts. 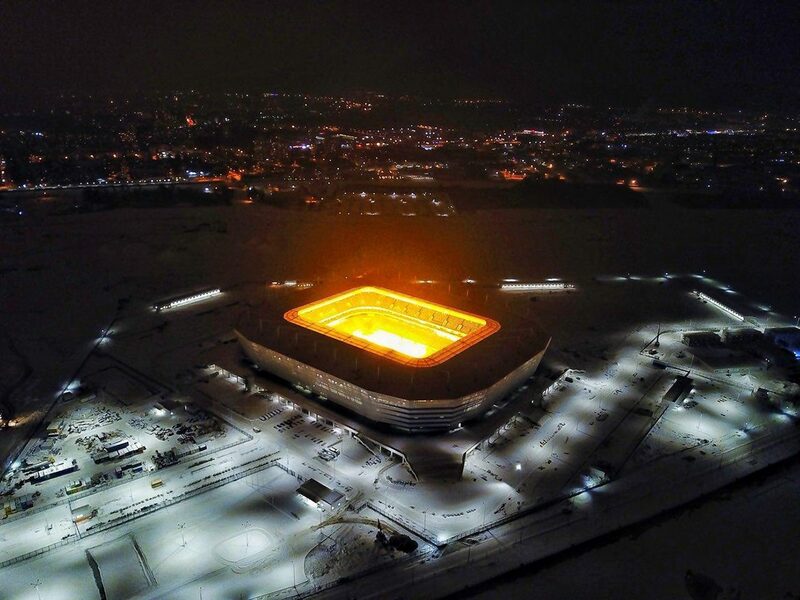 Not to consider them is simply impossible, because Kaliningrad has never seen such a fantastic complex in its history. 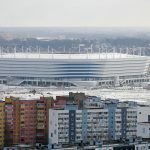 “Kaliningrad” is one of the most problematic objects in the application for hosting World Cup matches. He changed many times. The project itself is very complex. Since there was enough loose soil in the area, it was necessary to use special piles. 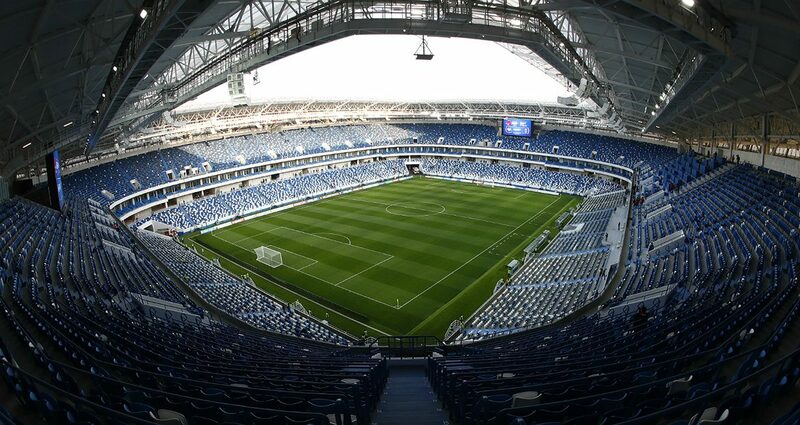 The stadium is the western arena for the World Cup. 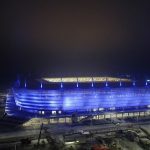 The cost of building the stadium cost 17.8 billion rubles. 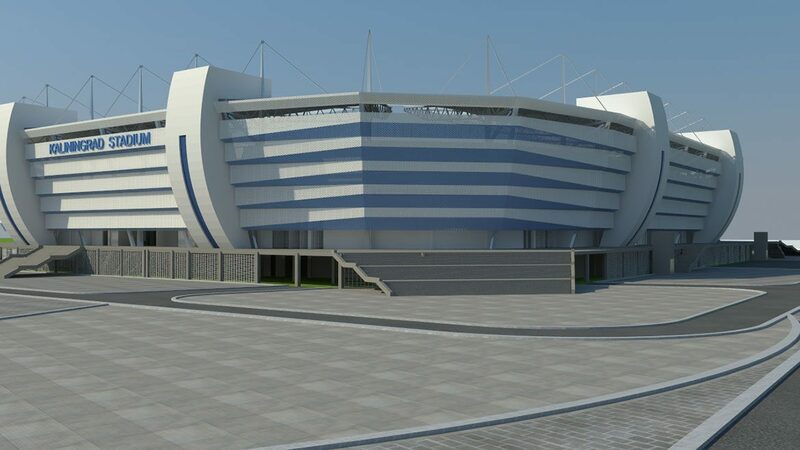 The stadium will be the legacy of FC Baltika, which performs in the FNL championship. Initially, the design of the structure was entrusted to a company that soon became bankrupt. 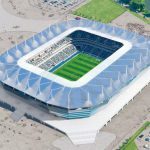 Further development of the stadium was carried out by the company, which also designed the stadium “Rostov-on-Don”. 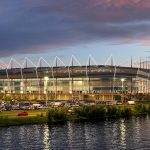 Kaliningrad is one of the most unusual cities in the world that will host a football championship. And this city was chosen not by chance. It is he who shows the vastness, uniqueness and contrast of Russia. After the end of the World Cup football tournament, the lawn on the field will be changed to an artificial one. 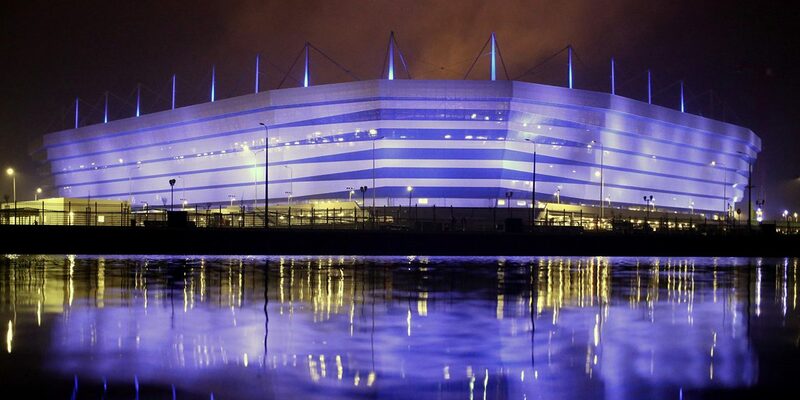 The appearance of the stadium is very similar to the ship, which gives an incredibly beautiful appearance to the structure. Kaliningrad is not considered a football city, although this sport is quite common here. 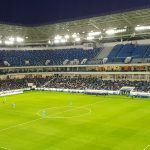 The game of FC “Baltika” from Kaliningrad was in the elite league of Russia for the last time 22 years ago. After that, the team does not shine very bright game. Thoughtful design of the grandstands allows the quick dismantling of 10,000 seats. 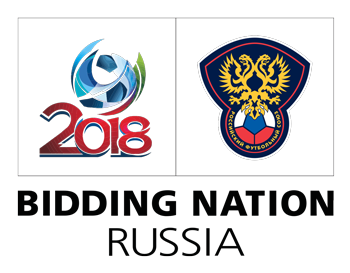 After the World Cup 2018, various sports tournaments will be held here, which will not be limited to football alone. 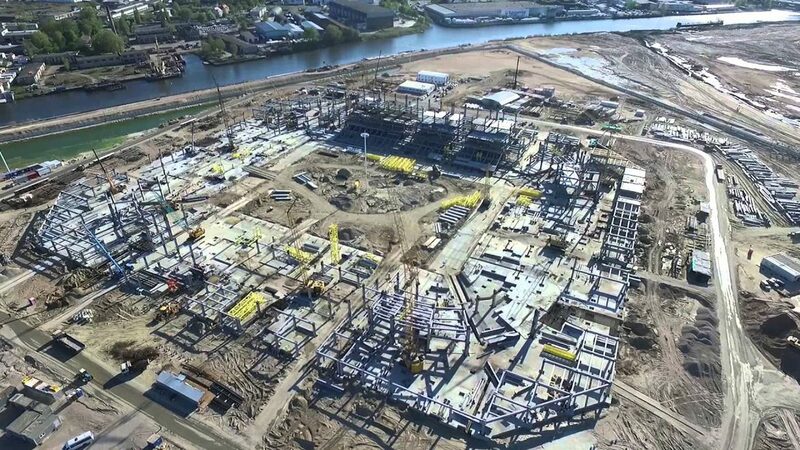 At the end of 2014, Kaliningrad did not yet have a specific location for the construction of the stadium. 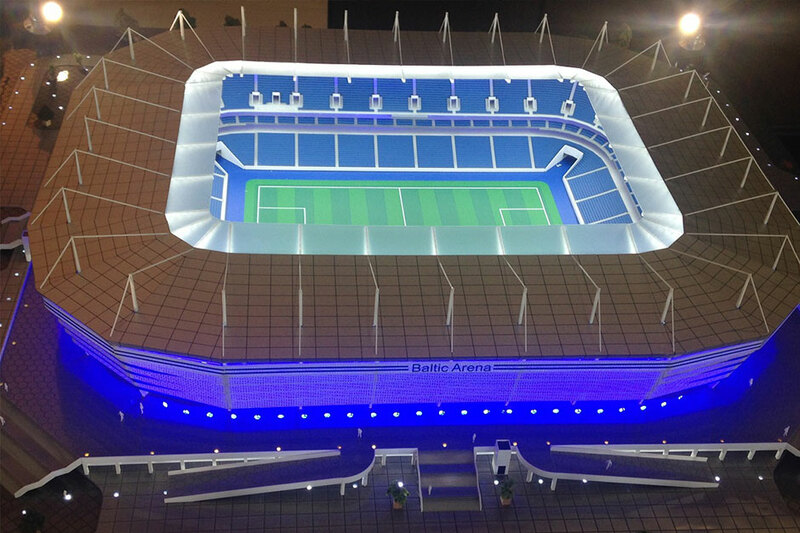 First of all, the plans were to build a structure that would look like an arena in Munich. 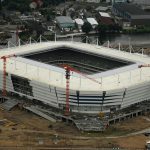 To do this, even planned fruitful cooperation with the company that developed the stadium for the football team “Bayern”. 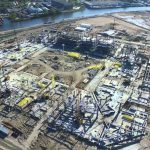 Constant adjustments in the project led to the fact that construction began to be postponed permanently. 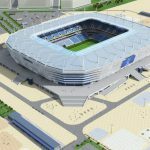 Long discussions and lack of consensus in the design of the stadium almost led to the disruption of the construction of the facility and, accordingly, to the threat of hosting the 2018 World Cup in Kaliningrad. Even there were thoughts about moving the matches to one of the stadiums from the reserve. 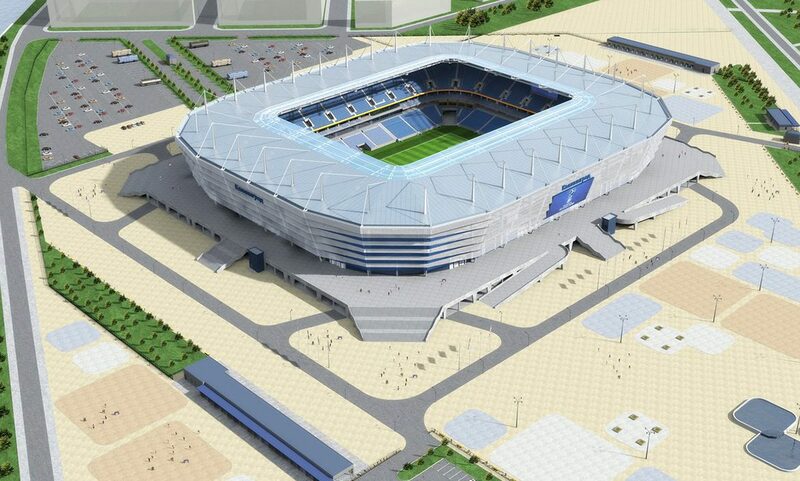 In order to quickly start the construction of the stadium, it was decided to greatly simplify the design. There is no retractable roof in the stadium, but there are still canopies. 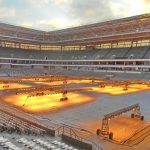 Despite all the difficulties encountered during the construction of the stadium, by 2017, decent results have been achieved. 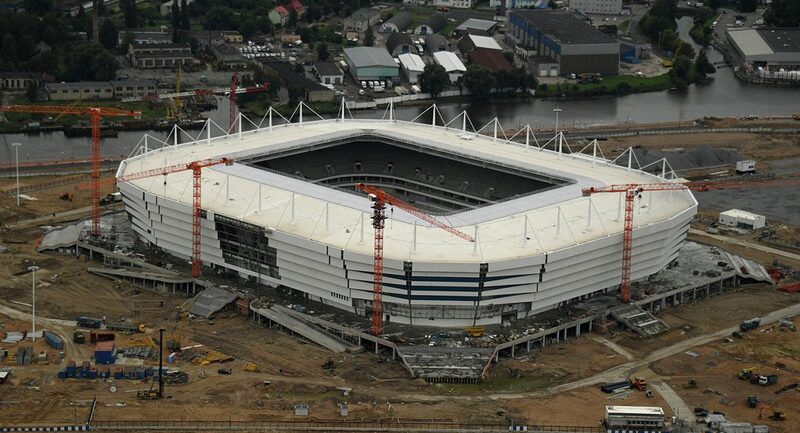 Moreover, the stadium overtook some sports facilities, the construction of which began much earlier. In addition, the arena will be actively used for concerts of other entertainment events. 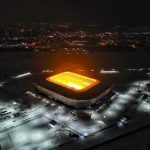 On the eve of a world-class football event, every fan is waiting for a visit to the beautiful Kaliningrad stadium, which is located in the city center. Visitors to the football arena must remember that the entrance to private transport will be limited. Only public transport will go. It will also be possible to drop into the parking lot of the stadium if there is a special pass. In the absence of such a pass, it is better to use public transport. Pay for the stadium can be bank cards. Before visiting, you must always pay attention to your ticket, which contains all the necessary information about the place in the grandstands. Also, you should make sure that there are no objects and substances that are strictly forbidden to carry with you to the stadium. Location: Kaliningrad, center. The stadium is on the island of October. Purpose: sports competitions and recreational activities. 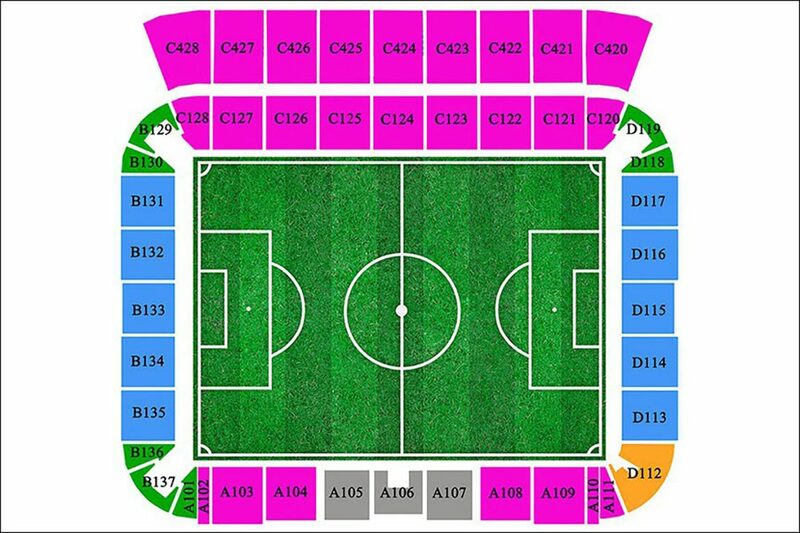 The number of seats: for up to 35 212 people. 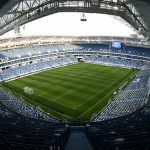 After the 2018 World Cup, the number of seats will be reduced to 25,000. Number of parking spaces (nearby): 4 2000 places. On foot. To get to “Kaliningrad” you can walk on foot through the bridge “Wooden”. Shuttle buses. S2, S3. The interval of bus traffic will be only 10 minutes. For the test traffic, 11 buses were launched at this interval. On the days of the World Cup, the public transport will also be extended until 23.00 so that people can get home. The car. On private transport, you can park your car on Suzdalskaya Street. The overlap of the movement during the World Cup matches will be carried out for the convenience of citizens and minimizing various risks. All the rules of FIFA are a list of items and substances that can not be taken to the stadium. “Kaliningrad” is not an exception, but it must be known to every fan as a multiplication table. Any type of weapon, as well as items reminiscent of it. Items can be used in the form of weapons, as well as cutting, stabbing items. Bottles, jars, glass vessels, containers. Any animals other than guide dogs with the owner’s possession of documents on vaccination made to the animal. Alcohol, narcotic drugs, various drugs that have a stimulating effect on the human body. Propaganda materials that are extremist in nature, humiliate the dignity of a person. 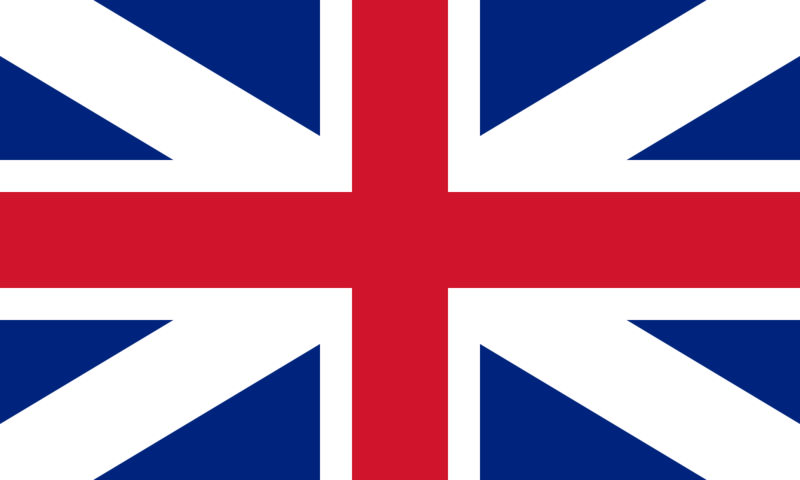 Means that may interfere with the game (radio, lasers, lights, vuvuzels, means for amplifying the sound). Food as well as drinks. 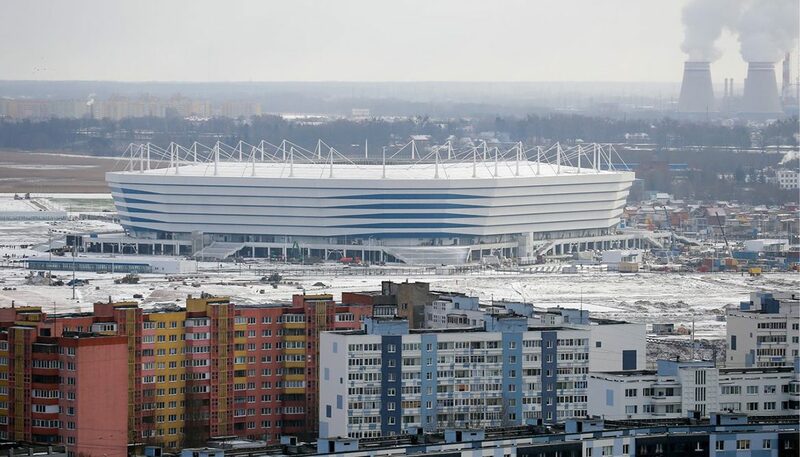 Since the stadium is located in the city center, tourists can easily find a suitable hotel or hotel. In addition to attending football matches, guests of the city can look at all the sights and stroll along the most beautiful places of Kaliningrad.